45-year-old Karim from Iraq, had to be hospitalised at the oncology clinic of Papageorgiou General Hospital in Thessaloniki. METAdrasi’s interpreter in Arabic was called to facilitate the communication. The doctor tried to explain to the patient and his wife that his condition is critical and that they are doing their best. The wife’s questions, who needed to know the truth, moved everyone. The interpreter remained until all the questions of the patient and his wife were answered and they were feeling that, although they are in a foreign country, there are people who can help them. Today, Karim continues his fight… He keeps smiling and he always expresses his gratitude to the doctors and the interpreters who are by his side. 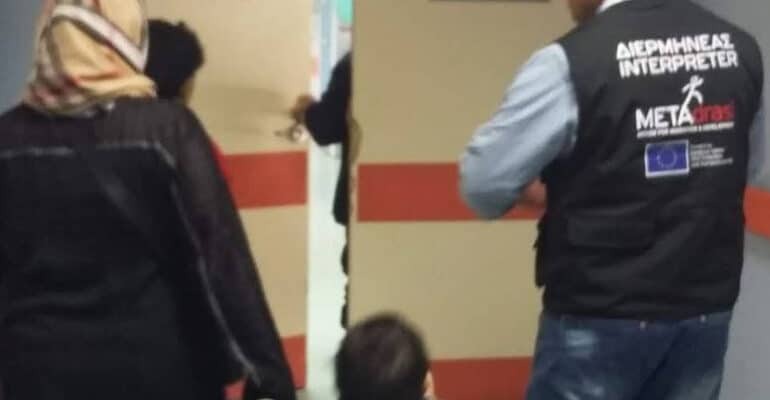 Incidents like the afore-mentioned, when the presence of an interpreter is crucial, occur daily in hospitals throughout Greece. 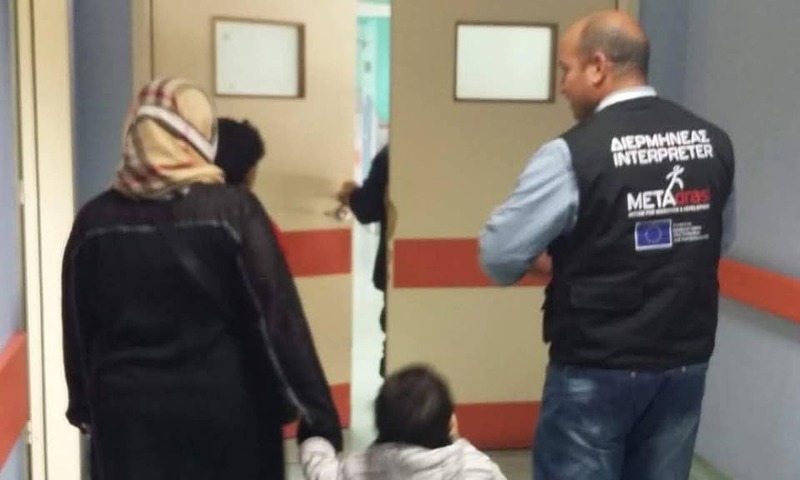 METAdrasi, with a team of specially trained interpreters, provides interpretation services since 2011, bridging the communication gap among hospitals’ staff and refugee and migrant patients. To date, more than 47,600 interpretation sessions have been realised, in 28 languages and dialects, like Arabic, Farsi, Urdu, Punjabi, Kurmantzi, Sorani etc., in 81 hospitals. METAdrasi’s activity “Provision of Interpretation to Healthcare Services” is being implemented since March 2018 with support from the European Commission’s Civil Protection & Humanitarian Aid Operations department (ECHO).